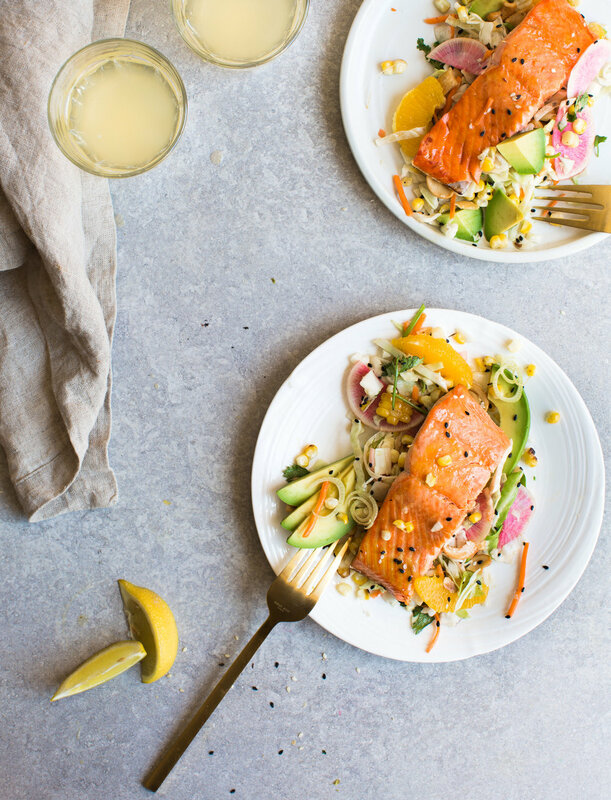 Delicious citrus glazed salmon over a crunchy Asian-Cashew salad for a light and healthy summer meal. About 10 years ago there was a sensational restaurant in San Francisco, the 'it' spot where all the celebrities rolling into town would flock to. My grandma caught wind of their outstanding glazed salmon dish and being the food enthusiast that she is, immediately booked a table. I was young and having never heard of such a recipe, but having heard that my favorite actress Mischa Barton (from The OC – hello 2007) visited just the week before; I somehow convinced my grandma to take me with her to this fancy spot. 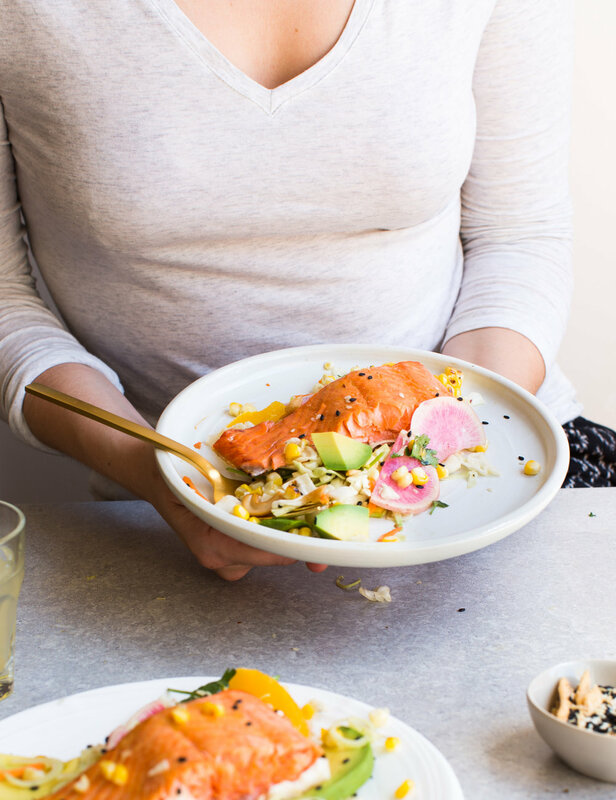 That night I ordered the ‘it’ meal captivating all of San Francisco – citrus glazed salmon. It was outstanding and it did blow my teenage mind. Still to this day, 10 years later, I reminisce of this exact dish - marking the moment I feel in love with salmon. Well for some reason they changed chefs and the restaurant closed a year later. So in memory of that delicious dish, I bring you this effortless citrus glazed salmon. It is just as sensational as the one in SF but now it’s open anytime, anywhere. 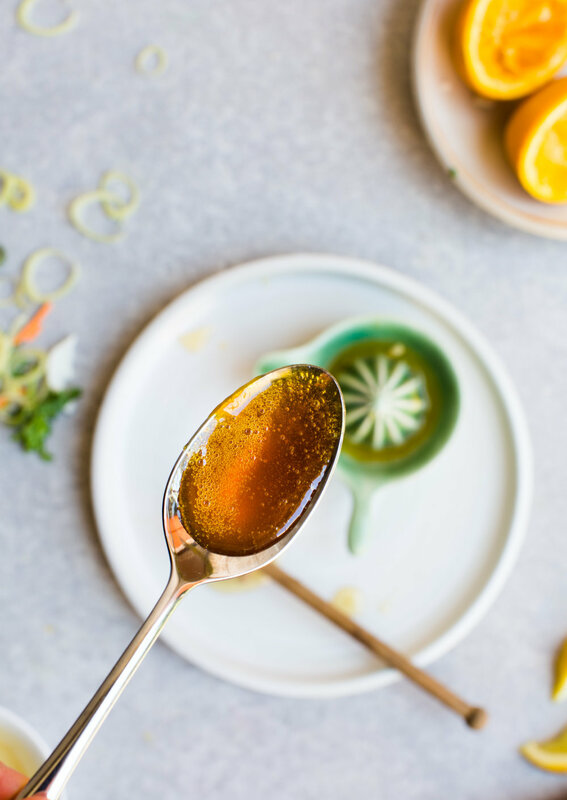 Pair it with this delicious Asian salad for a light meal perfect for long summer nights. In celebration of summer, I’ve partnered with Taylor Farms to bring you this delicious citrus-glazed salmon on a bed of their Asian Cashew chopped salad kit, which you can find at your local Costco! 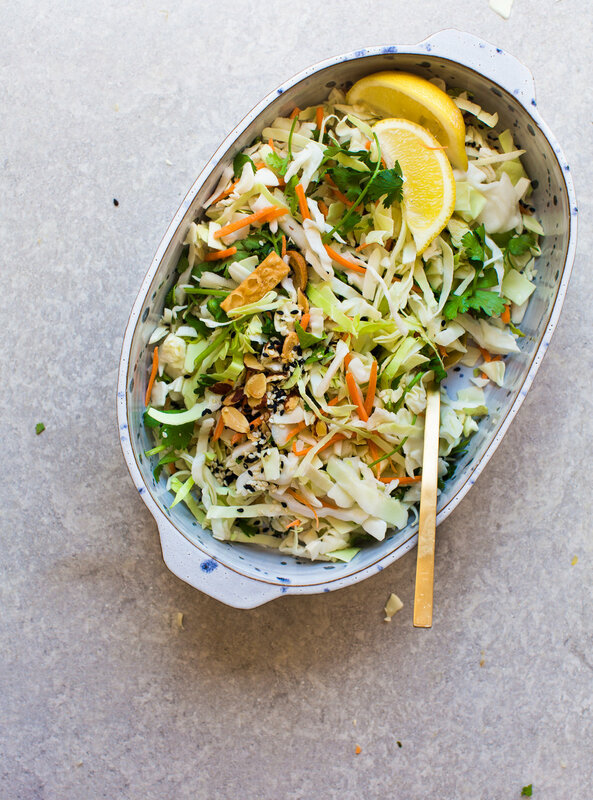 The Asian salad highlights the delicious salmon with bites of almonds, cabbage, carrots and toasted wonton pieces, while being wrapped in a tangy ginger-sesame dressing. 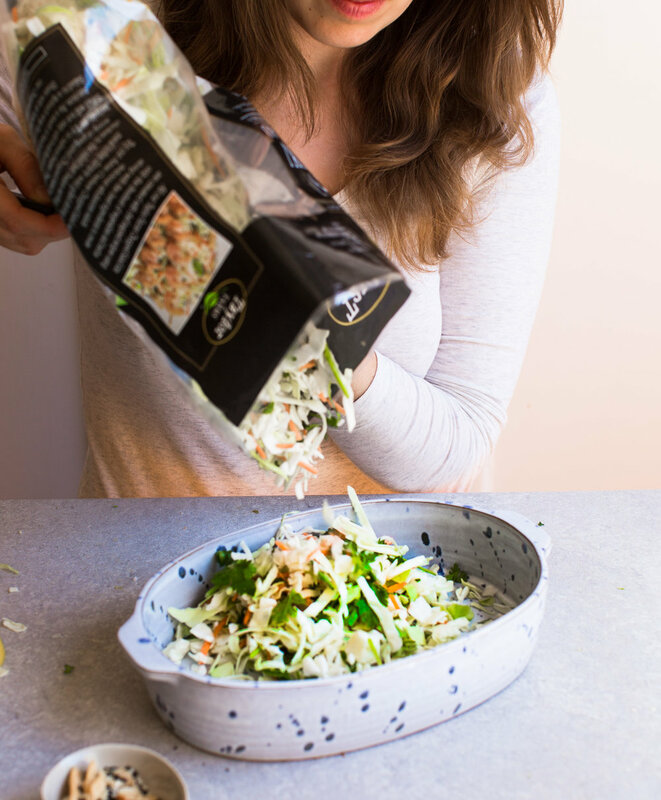 And if you’re pinched for time, this is the ideal salad kit – just bring together the salad, top it off with the already included tangy dressing and crunchy toppings. This is exactly what I did over the weekend for a healthy lunch to accompany a long hike. I packed up the salad, added in all the toppings and it made for the perfect travel salad kit. Take it with you to work, picnics, hikes, or even on planes during your summer travels – allowing you the flexibility of a healthy meal ready anytime you are. This recipe was created in partnership with Taylor Farms – all opinions expressed are my own. And honestly this is one of my favorite salads I've had in years! To get your hands on this delicious salad kit, feel free to use the coupons here!